Photo credit: Google Store – Fake Call from Santa app. I first realized the Santa story had holes in 1977. I was in the 6th grade, an embarrassing age not to be in on the gag. My friends, realizing my innocence, enlightened me with the subtlety one expects from 6th graders. I would not let Santa go down without a fight, though. 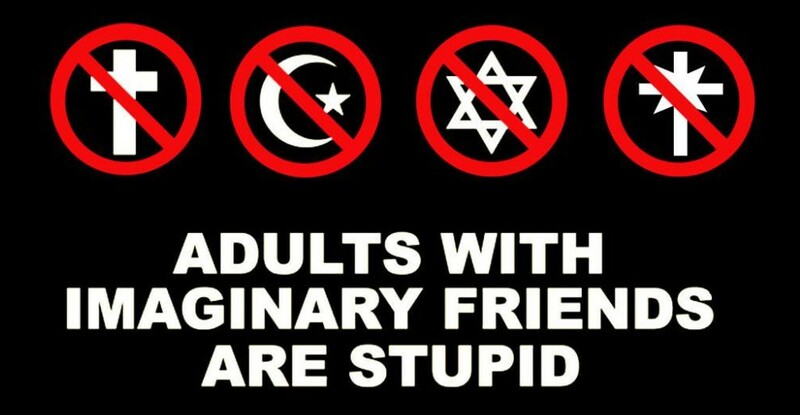 Pitying the skeptics, I would bring them back into the fold with facts. We gathered around our homeroom teacher’s shoebox sized desk calculator as I confidently pressed buttons. “The world’s population x the 20% who are kids (the machined hummed), divided by 10 hours of darkness (wheels whirled), divided by 60 minutes in an hour (gears spun). Equals. Confident of victory, I tore the tape from the still cranking calculator…and gasped as the disappointing truth sank in: Santa was delivering 1.3 million presents per minute. My friends howled. Our teacher, Mr. Fishleder, bit his lip in a passable attempt at maintaining a merciful decorum. A child whose names include “Mighty God”? Just to make sure we don’t miss the implications, in the next verse Isaiah circles back and tells us the predicted child would be a king whose rule would have “no end,” lasting “forevermore.” Yet kings don’t rule forevermore. Kings die. “Forevermore” and “no end” are code, code for God himself. Let Isaiah’s sense-surpassing dichotomous claim sink in: God. Born. 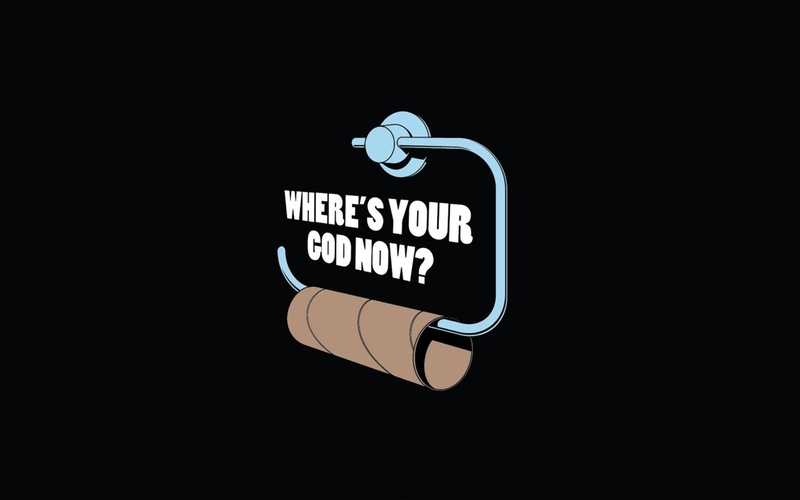 Religions generally have the deity lecture from a safe distance. Like Santa. “Hey, you people, straighten up down there. I’m making a list. I’m checking it twice. I’m going to find out who’s naughty or nice.” Other religions seem to me to be about helping people piously work their way to God. But God’s plan is shockingly intimate: “Immanuel.” Which St. Matthew tells us means, “God with us.” Christmas is nothing less than God. Born. The gift of God himself. Our human inclination is to shrink Christmas to manageable proportions by making it an inspiring fable about being nicer. But if Christmas is only a warm fiction it isn’t inspiring at all. It’s desperately bleak – Our problem, after all, is not that we don’t know how we should live, but that we don’t live how we know we should. Given the havoc we have made of earth, is it possible to let us loose, as we are, in the cosmos for eternity? Let’s be real: Moral perfection for you and I is as likely as jumping the Grand Canyon on a bike “Santa” brought you for Christmas as a kid. God’s answer, however, is much more heartening: A son is “given.” “Given,” not just “to us,” but “for us.” He was born for us, and he would die for us. Christmas is the beginning of God doing for us, out of love for you and I, what we cannot do for ourselves – forgive us and change us. God himself; born, living, dying, rising…both the perfect life we should live and the perfect sacrifice we cannot give. Jesus the king would pay our ransom and become our victor. In Christ, God made a way across that Canyon. Those two simple words, “For us” make Christmas the gift that fixes the mess humanity has made of things… a way has been made through the wall of our reality, clean across the chasm of our fallen-ness. Christmas is God’s gift of Jesus. First, in receiving Jesus, we receive the Wonderful Counselor. Why do people see a counselor? For help with relationships – healing in marriages, friendships, and families. The Wonderful Counselor, reminds us of our value. In light of our value, we are freed from emotionally over-investing in others because we need to be needed, or conversely, underinvesting out of fear of commitment. Jesus desires to fill us on the inside regardless of what is happening outside. Second: He is Mighty God. Are you ever in over your head? In Christ, Mighty God himself is on your side. Jesus Christ does not peddle empty promises – You can count on him when the chips are down. Third: When you receive Jesus, he becomes your Everlasting Father. Why father? Because through his Holy Spirit sent at Pentecost, God offers intimacy and acceptance, like a great father to his beloved children, by living within you. God came to us, so that we can come to him. Fourth, Jesus is the Prince of Peace. Peace in Hebrew is the word shalom. More than internal contentment, shalom is society-wide flourishing. Shalom means that poverty, disease, brokenness, and death are replaced with prosperity, health, reconciliation, and life. Individual new birth and inner peace, are your blessings when you receive Christ, but so is systemic shalom – expressed in the here and now by connecting with one another, serving others in Jesus’ name, and confidence against the worst this world can throw at you. The world’s brokenness matters to God, and God has promised the ultimate renewal of the whole earth. My friends, Christmas is the gift that can change everything. But much more than the Christmas bike of childhood now rusting in a landfill, Christmas is the lasting gift of Jesus Christ, God with us. And in receiving him, God’s offers four gifts: Healing in our relationships, his strength and sure defense, intimacy and acceptance with God, and reconciliation now and peace in the future. And so, I urge you, whether for the first or the thousand and first time, receive God’s gift of love: Jesus. When we receive him, we find we receive, with him, the four Christmas gifts that change everything. Yesterday a few elementary school friends and I were catching up in the pizza joint of our childhood. Over thick slabs of Sicilian style, one friend, as old friends do, looked over and made the insider reference: “Gimme-gimme golfball.” At the mention of his name all four of us, middle-aged men decades removed from the old man’s maltreatment, groaned in unison. Anyone who grew up near Chris Town Golf Course can regale you with stories of the places on their anatomy that Gimme-gimme marked with his golf club, an ancient 2 iron. None of us seems to have escaped his withering stare, his snarling curses, or the wack of that 2 iron. At least not in our memories. Gimme-gimme’s 2 iron might have been the inspiration for the multi-purpose tool. The well-worn club was used mostly as a cane. But it doubled as a retriever of errant golf balls, and, far too often for our tastes, was pressed into service as a device for the bludgeoning of the local preteen male population. 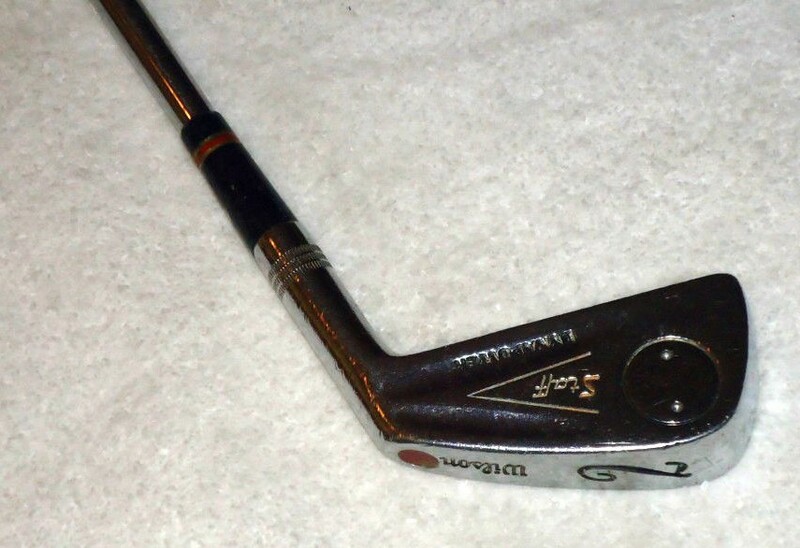 Gimme-gimme used that old club for many things…unfortunately, none of them was golf. How is it, you ask, that an elderly man was attacking boys with a 2 iron in a perfectly nice middle-class neighborhood? We boys had ended up on the losing end of a vicious territorial rivalry over our community golf course and the fruit it produced, errant golf balls. The neighborhood nine-hole had been fashioned on the cheap from an old sheep farm. It was acres of open space with trees dividing the fairways, a small lake, a driving range, maintenance sheds beside the abandoned farmhouse, and a grain silo that begged to be climbed. It was next to the source of our most enduring form of entertainment, a large family owned citrus orchard separated from the eastern edge of the course by a long line of ancient and gnarled salt cedar trees. Can you imagine such a place not becoming the stomping-ground of boys for blocks around? Unfortunately, Gimme-gimme thought so too. We were there for mischief. He was there for money. One morning in the summer after the fourth grade, I was perched in a salt cedar watching golfers and pretending to be a WWII radio operator defending a Pacific island from bagcart towing invaders. I heard a golf ball bounce off of a cedar trunk and lodge in the rusting iron mesh of the farm fence the cedars had spent five decades attempting to engulf. I scampered down from my hiding place. 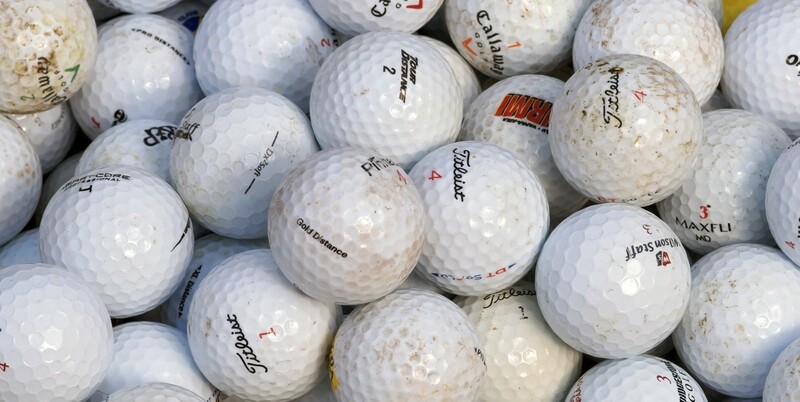 Reaching into the cedar needles just inside the fence for my newfound treasure, my fingers wrapped around a coveted Titleist ball when, WACK, a blazing pain erupted in my temple. I rolled on the ground, grabbing my head in agony. Through tears I saw the old man’s grizzled arm reach through the fence. “Gimme that ball, kid.” He said, as he pocketed the ball and ambled off, not bothering to look back and see if he had inflicted lasting damage on my now dented noggin. Gimme would clean the balls he found in a washtub in the back of his old camper truck, carefully repaint them, and sell them for a dollar through the golf course’s north fence while seated on a 3-legged canvas camp stool on Maryland Avenue. Maybe he was bored. Maybe he was bolstering his retirement income. Maybe both. Of course we didn’t tell our parents that the old man was marking us up with a 2 iron whenever we got too near his income source. We also didn’t tell them we swam in the lake after hours, or snuck over to the clubhouse and sampled bottles of warm soda from the cases stacked in the shed, or tried to get the night crew to chase us in their gas powered Cushman carts either. Kids didn’t give away their secrets in those days. And parents, well, they didn’t really want to know. But I did ask my dad about the old golf ball salesman once. His reaction was telling. “The old grouch works hard enough. He would make a decent living if he wasn’t such a joyless, angry old cuss. We would rather hike all the way back to the clubhouse and pay retail.” Which explained another mystery: Why the golf course manager was so fond of Gimme-gimme. I learned an important lesson from Gimme-gimme golfball, lumpy temple and all: When you do a job, do it with smile on your face. After all, a joyless service is no service at all.